You are visitor number 7.2428494854284E+27 since 14 Apr 19. Punto di ripresa: Cornizzolo, rifugio SEC "Marisa Consigliere"
PS Per vedere i video e' indispensabile usare il VLC (utenti inesperti) o l'MPlayer (utenti avanzati). PS To watch the videos you need VLC (newbies) or MPlayer (advanced users). 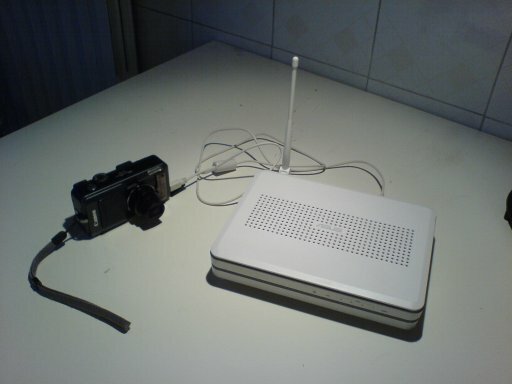 The system consists in a Canon A70 digital camera and an Asus WL-500g Premium wireless router. The wl500gP uses Openwrt. It's a mips-based Linux distribution which runs off the internal flash. The device has 8MB of flash memory, 32MB of RAM, 2 USB ports, an integrated switch and a wireless adapter. At boot, a script starts gphoto2 in 'Time-lapse' mode, making the digicam take a picture every n secods. When the picture is taken, it's uploaded to the internet and displayed in this webpage. Many thanks to #gphoto and #openwrt, and in particular to _Marcus_.